The author got in touch with me on Goodreads and asked me if I would like to read and review the book. It sounded interesting enough for me to say yes. I don’t pick up many books because they don’t enthuse me enough. She was prompt to send me an e-book but me being the lazy person I am, took ages to get to reading it. Apologies for the delay, Shweta, it’s all because of my tendencies to ignore ebooks when I have proper books in hand. I’ve got to overcome this, especially given the fact that I’ve got so many interesting titles waiting to be read on the Kindle. Mythili is a newly wed. She has just got married to the love of her life, Siddarth(Sid). Mythili has been an independent young woman, working as a crime reporter, covering crimes of the most gruesome kind. Nothing fazed her or so she thought. Sid and Mythili had a passionate long distance relationship and were yearning to start living together after getting married. Mythili quits her job and joins Sid in Philippines. For the first time in her life, she realises that she is a ‘dependent’, something she finds difficult to stomach. Already finding it hard to come to terms with her new status, she also realises that there is hardly anybody among the expats that she meets who is of her wavelength. Life as an expat is a whole new ball game , and one that Mythili doesn’t know the rules of. And she isn’t quite sure she wants to either. She finds completely herself out of place in her new environment, be it the people she meets or the city that she lives in. To add to her discomfort, all her efforts of finding a job seem to fall flat as well. Her unhappiness and dissatisfaction starts to have a bearing on her life with Sid. She wonders if she would end up joining others around her as a dissatisfied housewife. 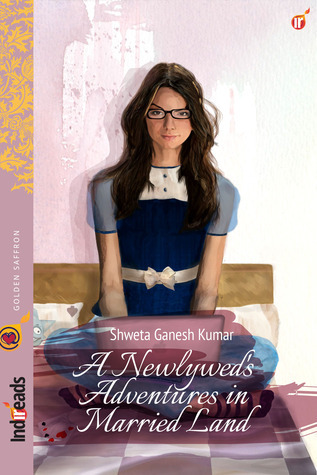 It is a charming, often hilarious, very real narrative of Mythili’s new life. I could relate to Mythili’s situation quite a bit, even though I haven’t been in a similar place myself. It is a situation that very common these days. Shweta writes with eloquence about Mythili’s experience of uprooting herself, to follow her heart and then wondering if it if was all wrong, wondering where things started to unravel, and how she picks it back up and puts her life back on track. Relocating yourself to a different place and starting a new life might sound romantic and exciting, it comes with its own challenges and issues. The author also captures the insulated lives that expats sometimes end up leading. A life centred around themselves and their communities rather than making an effort to integrate themselves with the land that is their home now. 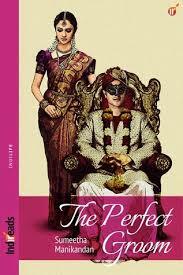 It is a fast paced, absorbing read which keeps you hooked and you find yourself cheering for Mythili. The characters were real, and some of the expats described, they are oh so familiar! I thought Sid was a sweetheart, and the relationship that Sid and Mythili shared was very sweet and heartwarming. I particularly liked the way each chapter opens with a quote from Alice in Wonderland. Every quote was relevant to what Mythili was going through and I thought it was a brilliant idea by the author. In so many ways Mythili was like Alice falling into a rabbit hole with no control over her circumstances. Would I recommend it, yes of course! It is a 4/5 from me, and a book that I think a lot of us would identify with and enjoy. Shweta Ganesh Kumar is a writer and travel columnist. An alumnus of the Symbiosis Institute of Mass Communication, she worked as Communications Officer for Greenpeace India and as a correspondent with CNN-IBN, before dedicating her life to writing. She has written two other books as well, ‘Between the Headlines-The travails of a TV reporter’ and ‘Coming Up On The Show… The Travails of a news trainee’. I owe Wanderlustathome for this book. She gifted it to daughter, and both of us read it. For most of us, grandparents telling us stories during the holidays have a special place in our memories. The warmth of a grandparent, spinning tales that held us rapt. 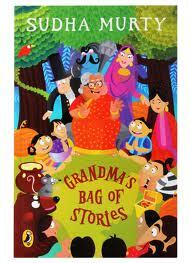 Sudha Murty’s Grandma’s Bag of Stories is just as charming. Anand, Krishna, Meena and Raghu arrive at their grandparents’ place in Shiggaon. Ajj’si and Ajja’s house was all readied up for their arrival, with Ajji preparing their favourite snacks. The perfect holiday with wonderful food, fun times with the animals in Ajji-Ajja’s house and best of all, the wonderful stories that Ajji told them. After all, when Grandma opens her bag, everyone gathers around. From her bag, emerges tales of kings and cheats, monkeys and mice, scorpions and treasure, and princesses and onions. Unlikely combinations, one might think, but when Grandma is the one telling them, they are just perfect! The book is great for young children to be read to, and for older children(5+, perhaps) to read for themselves. I particularly loved it, because the whole setting took me back to my childhood. The school holidays when we would all travel to our grandparents and had this wonderful time with our cousins. Daughter loved the stories too. Living abroad, I felt that this was a nice book of stories which helped her connect to India a tiny bit more, reliving her own experiences of hearing stories from her granddad, her favourite part of holidays. Needless to say that it was a book that both of us enjoyed – thoroughly! 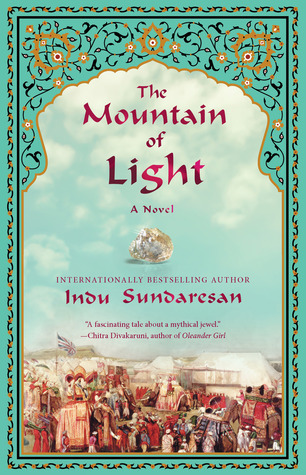 I haven’t read any of Sudha Murty’s other books, but am certainly looking forward to picking up some more of hers, particularly the children’s ones. A beautifully written book, which can be enjoyed by children and grown-ups alike. I would rate it a 5/5. I read this book over two months ago, and realized just now that I had forgotten to review it. Blame it on the madness that was my life when we were relocating back to the UK. Raihana, a refugee from war-torn Afghanistan has been offered refuge in Denmark, thanks to a distant cousin of hers. She doesn’t know what happened to her husband, doesn’t know how to find out either. All that she can do is try putting away her past, and forge a new life for herself in a strange land, where she did not even know the language. As an immigrant in Denmark, she needs to learn Danish, and starts off in a language school. Part of the process of learning Danish is working in some sort of business so that the immigrants learn how to speak Danish and blend themselves with the local culture better. Most of her compatriots end up working stocking shelves in supermarkets, but Raihana apprentices herself to a widowed beekeeper, Gunnar. She thinks that it is rather apt, because she finds that Danish sounds like bees buzzing, to those who don’t understand it. Gunnar is a recent widower. Ever since his wife’s death, he has not been himself. He has not bothered looking after for himself, or the bees that he and his wife tended to, so lovingly. His friends and family have been worried about him, but soon, they have another worry – his new apprentice, Raihana. Gunnar himself was not jumping with joy at having Raihana in his house. He preferred to be left to his own sorrow. Nothing mattered to him any more. However, once he got over the shock of having Raihana as his assitant, he slowly starts pulling himself together. Slowly, he goes back into the bees, and starts teaching Raihana, everything he knew. Teaching the young refugee about bee keeping and Danish seemed to have a therapeutic effect on Gunnar himself. Slowly, the immigrant and the widower forge a bond, a friendship, which is not viewed by others around them very kindly. A friendship that is as strong as it is unexpected. Just when Raihana starts getting comfortable in Danish society, and pushing her past out of her mind, when she is forced to confront certain realities. I loved the premise of the story. The lives of immigrants, of refugees who are forced to leave their country, sometimes to save their lives, sometimes to forge a better life and the ways in which they integrate themselves into the host country. Some like Raihana, go for it, wholeheartedly, giving it their all, while some, like some of her neighbours, just do what they have to do, or live off benefits. For a change, the book also looks at the situation from the point of view of the people of the host country. The reasons or prejudices why they find it difficult to help the refugees integrate. Of how it takes two to tango, it is as important for the hosts to be welcoming as it is for the immigrants to want to integrate. And above all, irrespective of the differences in outward appearances, internally, we are all the same, with the same type of emotions, and attachments. The story is also about Raihana as a person and her reactions, and her ways of adapting herself to the new place she finds herself. It was a beautiful story, a change from the regular run-of-the-mill sorts. The characters were well fleshed out. You could completely understand where each of them were coming from. The whole situation is handled in a very simplistic way, not really getting into more complex issues surrounding immigrants and their integration into the host country, but I think the book did achieve what it set off to do. There are a few things which do not quite sit right. Like the cover picture. It shows a woman in a hijab, but Raihana herself did not wear one, in fact she resisted pressure from others around her to wear a hijab. But that is a minor point, really, one that did not bother me too much. A book that I would certainly recommend. I would give it a 3.5/5. Amulya Malladi is an acclaimed author of five books. She was born and raised in India. She now lives in Denmark with her husband and sons. This book is available from Amazon and Flipkart(India). I got it from Blossoms, the second hand book store in Bangalore, and it was an absolute steal! As The Hero’s Walk opens, Sripathi’s life is already in a state of thorough disrepair. His mother, a domineering, half-senile octogenarian, sits like a tyrant at the top of his household, frightening off his sister’s suitors, chastising him for not having become a doctor, and brandishing her hypochondria and paranoia with sinister abandon. It is Sripathi’s children, however, who pose the biggest problems: Arun, his son, is becoming dangerously involved in political activism, and Maya, his daughter, broke off her arranged engagement to a local man in order to wed a white Canadian. Sripathi’s troubles come to a head when Maya and her husband are killed in an automobile accident, leaving their 7- year-old daughter, Nandana, without Canadian kin. Sripathi travels to Canada and brings his granddaughter home. The child he disowned, has died, ans suddenly, he has become the guardian of his granddaughter, who he has never seen. How is the family, already in throes of sorrow, and unhappiness going to cope. And what about the little girl who has never seen her grandparents before, never been to India before, and most importantly, has just lost both her parents. How would she manage in a strange environment,living with total strangers? Suddenly, everything has changed for everybody. It is a beautifully told story of lost opportunities, egos that were bigger than their emotions. And of how fate can change everything in a jiffy. The book captures beautifully the nuances of everyday life. So real that it sometimes is difficult to believe it is fiction. Sripathi’s difficult childhood, his mother’s insecurities effecting both his and his sister’s lives. Sripathi’s wife Nirmala is a regular dutiful wife and daughter-in-law. She panders to her mean mother-in-law like all dutiful daughter-in-laws are supposed to, even when the old woman, goes out of her way to be mean to her. She doesn’t always agree with Sripathi, but finds ways of doing things in a way that does not hurt his ego, but there was one time when she refused to put up with his dictat and showed her disagreement. The most endearing character is of course, Nandana, the seven year old granddaughter, who has not even completely understood what has happened. Even after she reaches India, in her mind, her parents are still alive. She just needs to walk and reach Canada to get to them. Her confusion, her sadness, her reminiscences of her parents, especially of her dad were beautifully done. A tale , full of real characters, real situations, sometimes made worse by their own reactions and mindsets. You alternate between sympathy and annoyance with Sripathi’s behaviour. On one hand, you do feel sorry for him, and on the other, you get annoyed that he can be so bull-headed. A tale of several lives, entwined in traditions and values, which are at times best left behind, as the times change. As you read the book, you understand where Sripathi’s mother’s controlling behaviour comes from, but despair that she does not see the way she wrecks lives all around her. While sad, it is also a sweet story in how, people come together in crisis, leave behind beliefs that they might have clung on to, all their lives. And how one big change could herald lots of (good)changes for them. I loved the story, loved the details, the descriptions, loved the characterisations. 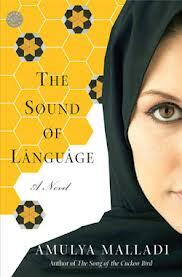 Another book that transports you into the world that they are describing. If I do have a complaint, it would be that in the beginning, it took a while before the story picked up some pace. I would give it a 4/5. 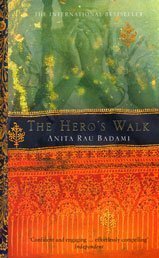 Anita Rau Badami is writer of South Asian Diaspora living in Canada. She was born in India, and now lives in Canada. She has 4 books to her credit. You can read more about her here. This book can be bought on Amazon and Flipkart(India).